Raw redskin peanuts could easily be awarded the title of favorite game day or party time snack. They're actually a fantastic any time snack. When your desire is to satisfy your urge to munch, healthy eating may not be on your mind. Don't worry, these peanuts are both a delightful treat and a good complement to your healthy eating lifestyle. One bag contains about 650 pieces. Perfect peanuts for making peanut butter because of the natural oils. Just make sure you roast them before use. This is my second purchase of a 10 lb bag of the redskin peanuts. My order arrived quickly and the peanuts were fresh. I will be ordering another bag soon. I make brittle for sale, and ordered 10 lbs. of the Raw Redskin Peanuts. They arrived in a timely fashion, the peanuts were very fresh, and I was notified when they were delivered to my door. I was very pleased, and ordered another 10 lbs. Hey, I am back again BECAUSE I had to REORDER more raw redskin peanuts for peanut brittle. I am beginning to think my brittle with these nuts have become my biggest holiday seller–& I have a bunch of stuff in this store! I ordered these raw peanuts as i feed the blue jays, cardinals and other feathered creatures. I got tired of buying those small, hard to find bags of raw peanuts at the grocery, so decided to try Nutstop. Even with paying for shipping ($11) it was a good deal, as I usually pay at least $3 per pound in the store and it was only a little over a dollar per pound here! So I actually saved money to have them delivered! Always a plus….the birds are happy and I am happy! Great quality peanuts, too, better than I have found at the grocers. I’ve been making peanut brittle for over thirty years and have never found a better price or fresher peanuts. Over half way through a 25 lb box in two weeks. I will definately be back for more. Nicely packed, great product and fast shipping! Thank you! The raw redskin peanuts I rec’d were fresh and nice size. Made great peanut brittle which made for some very happy customers!! Packed nice, always fresh. Great product – thank you! Great Product, Always fresh Shipping is fast too. Fresh and delicious peanuts. Some companies’ peanuts have the taste of other nuts from the processing plant, but these don’t, so they’re great for spicing and roasting however you like. Very fresh peanuts, I will buy more. These peanuts were great for roasting and great for making PB! Arrived within 3 business days. Packaging was acceptable. Product was fresh, possibly the freshest peanuts I’ve ever seen. Flavor profile is profoundly earthy, with a slight hint of ash on the back of the pallet. The peanuts are fresh and the price is very reasonable! The shipping is fast. We love it. My wife enjoys these red skinned peanuts. I found them to be fresh, crunchy, and good. I ordered two bags on my first order. Great for Peanut Brittle, cheapest I found on the internet. Quality peanuts. Great for homemade peanut butter. Great price. As always the quality of these nuts and ALL items are outstanding !!! the pricing CAN NOT BE BEAT either great service and great items ! Best quality peanuts, on time delivery and great costumer service. Also, online store is very easy to navigate and understand. I feed my squirrels with them. The redskin peanuts I purchased were very fresh and delivered in a remarkably fast time. I plan to continue purchase more of these and other products from Nut Stop. Great price, wonderful flavor. We have fun playing with added flavoring. But we always go back to just plain roasted. 350* for 18-20 minutes. We keep coming back for more, and expect to for a long time! The shelled, raw nuts we purchased were fresh, free of debris, and well packaged. The 25# box arrived promptly. NutStop was thorough with email. It was an excellent experience. We have a family of 10. Fortunately, I can buy nuts in bulk to make nut butter for our kids – much healthier, too! After roasting them at 350 for 20min, I send them thru the food processor – with flavorings of choice. We will be back for more nuts! The products arrived on time, are fresh will cause me to repurchase at a later date. I use a lot of nuts, so I was looking for buying them in large quantities at a good price. I did not believe all of the reviews about the turnaround time from purchase to arrival, but they were all true. I was amazed at how fast they were delivered and the excellent quality of the nuts themselves. I will be buying through Nutstop again! You won’t find a better product or a better price for the product that you need. You might think that the shipping might be high but they don’t make a dime on the shipping and if you look at the price you pay it is way cheaper than you will pay locally. Plus all the time you spend looking for the product. It comes out cheaper and you don’t have to go anywhere but the Post Office to get them. Shipping is very fast too. They are very fresh nuts and so far as the Company and their Staff. Well it just doesn’t get any better. You won’t be sorry you bought from them and will be like me, TELL EVERYONE ABOUT THEM. Bought these for 6 of my inlaws in Texas. They all raved about how good they were. 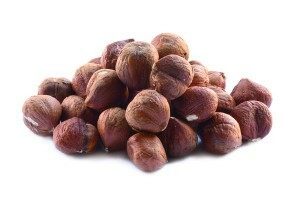 I ordered 5 lbs of these nuts with the intent to roast them. The result was a tasty treat at the right price. Will buy them again. We ordered 10lbs of these for over roasting. They came packaged in nice 1lb sealed bags. Which is just the right amount for us to roast for each time. We love them for a light snack. We had been purchasing them locally in the store when they were available. Local store told us they won’t have them back for a while. As and alternative we tried these and found the nuts were actually larger and had a better taste and were slightly cheaper even with shipping cost. We will be back for more when we need them. I think when you buy more than 1 lb the nuts are a bit larger. Excellent quality, easily the same as nuts dot com, but a better price. Shipped quickly, packaged nicely, and roasted at about 350 for 15 minutes, stirring once halfway through. Just let them cool for half an hour at least, then they get crunchy. The peanuts are perfect for the candy I make, product packaging is excellent and the price point is great. I highly recommend this company. Excellent price! We used to be able to get raw peanuts at the store, and they’ve stopped selling them — only roasted, salted. It’s getting harder and harder, and Nutstop has a great price, along with fast shipping. Love these raw peanuts for making peanut brittle. They are the perfect size. My mom was having a hard time finding these to make her famous peanut brittle. Instead of driving all around town wasting time and gas, this was a perfect option with a great price even with shipping. The order arrived timely and in good shape. She was very pleased. Peanuts are great. Arrives on time. Great size, large! Perfect for my Spicy Sweet snack. And delicious! Packaging is secure and sturdy too! I was very pleased with these peanuts. They were huge and had a great taste. I would definitely order them again. Gotta have raw peanuts for my holiday peanut brittle! Thanks for the quick service and great prices! Excellent product. I have always purchased in store only. I was pleased with the quality and price. My order was shipped promptly and I will definitely order again. I am very pleased with the raw redskin peanuts that I ordered. I was impressed with how quickly I received them. Excellent quality. Will definitely order again. I am very pleased with your redskin raw peanuts and they work excellent in my peanut brittle and they are larger than the Spanish raw peanuts, and also you are a very good company to work with I will order from you in the future yo have a great price on your product. I have used these Redskin peanuts in both peanut clusters (after roasting) and in over 50lb’s of peanut brittle… They work nicely in both of those recipes. They are a larger peanut than the Spanish Redskins I typically use in most of my recipes… The price on the 25lb box if you can use that many is VERY good. 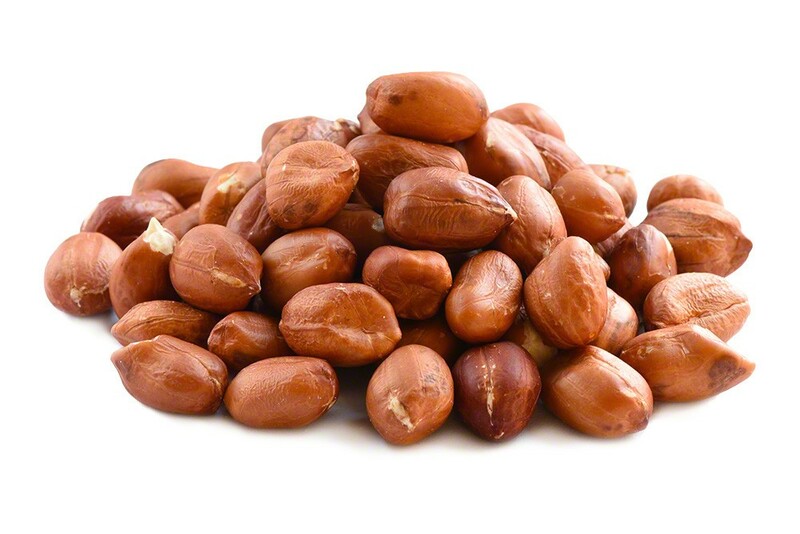 The Raw Redskin Peanuts are just as advertised, they are about 50% larger than Spanish Peanuts but just as tasty and work great in most recipes calling for raw peanuts. I am using them to put into Peanut Brittle. Bought for Peanut Brittle. They work great. Just reordered 2 25# bags. These do awesome in peanut brittle. Tried one # bags to make sure they would work. Great! I roast these to make my own peanut butter: 50 min. at 300. The quality is excellent, and so is the price, even with shipping. Order #11279 My hubby loves spicy nuts. 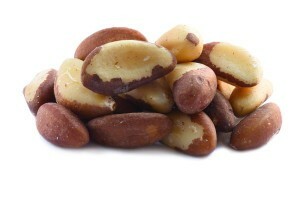 These were just the right kind to make cajun mixed nuts. Furthermore, Nutstop has the best price, is easy to order & provides fast shipping. Will definitely order again. Second bag was super like the first. If only all companies provided this quality and service. You should consider and order here. Super service and product. Whole nuts unexpected but pictured. Great delivery time and product. Nice packed in 25lb units. This is it for me as the source. All my favorite healthy snacks @ one place & very reasonable price. I love the case price. Will be ordering for the family. Ordered these for our church’s Women’s Ministries group. We make peanut brittle to sell for missions. They were not available in the St Louis area that we could afford, we found Nutstop and their price even with shipping was awesome. Ordered on a Sunday night and had them on Tuesday. The peanuts were of 5 stars rating. Definitely will order from them again.